Lately I have been getting back into reading Isaiah, the book with highest amount of prophetic value in the scriptures. I haven’t been to Egypt but been curious about the past and present in the surrounding middle east nations. Although Egypt’s previous government run by Mumbarak and folks trashing museums in Cairo seems horrible, things sound like they could be a lot worse with the Muslim Brotherhood running the place. I was talking to some people in my bible study, and they pointed out this passage. Until recently Egypt has a just about ok relationship with Israel, but with this new leadership they could be as dangerous as Syria or Iran. Isaiah 19 : 16 In that day the Egyptians will become weaklings. They will shudder with fear at the uplifted hand that the Lord Almighty raises against them. 17 And the land of Judah will bring terror to the Egyptians; everyone to whom Judah is mentioned will be terrified, because of what the Lord Almighty is planning against them. Looking at this Hebrew version of this passage on www.bible.cc, it says this also. My regular NIV people says Destruction, with message at the bottom, about it also being ‘City of the sun’. “Speak the language of Canaan..”, how about this article? Here is a jar of Marmalade I bought from an Arab shop near my house here in Jerusalem. 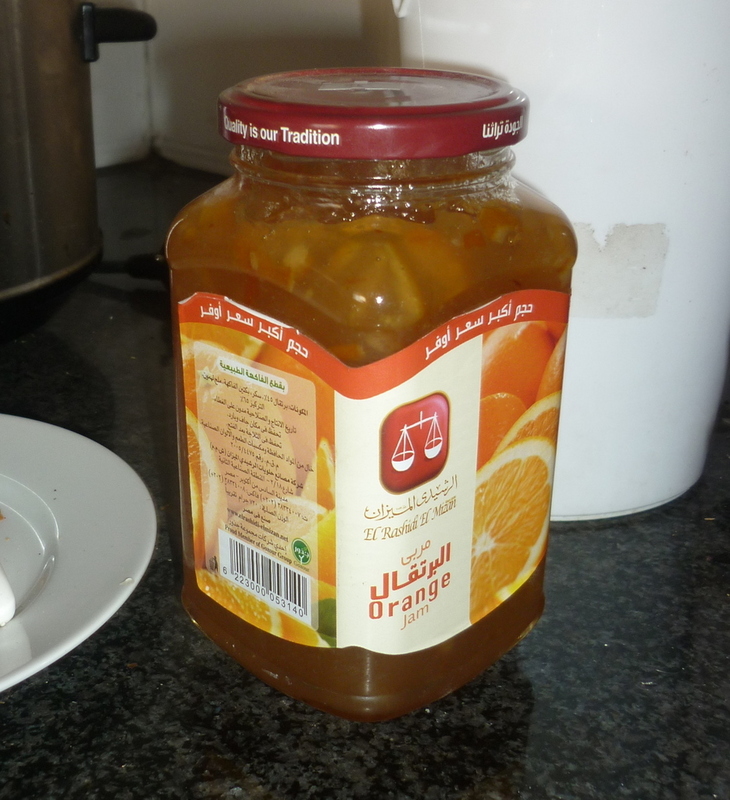 Its labelled as “Orange Jam” and its made in Egypt, this is a city just outside Cairo. The city was established in 1979 by the 504th presidential decree of president Anwar El Sadat. It is 17 km from the great pyramids of Giza and 32 km from downtown Cairo. The city has a total area of 97.4 thousand feddans (400 km2) and is expected to eventually have 3.7 million inhabitants. It was announced as the capital of the 6th of October Governorate in April 2008. Following the governorate’s dissolution in April 2011, it was reincorporated into the Giza Governorate, to which it had originally belonged. The city’s name commemorates the commencement of the October War on 6th October 1973 to liberate Egypt’s Sinai Peninsula. For this reason, the date was also chosen as Egypt’s Armed Forces Day. 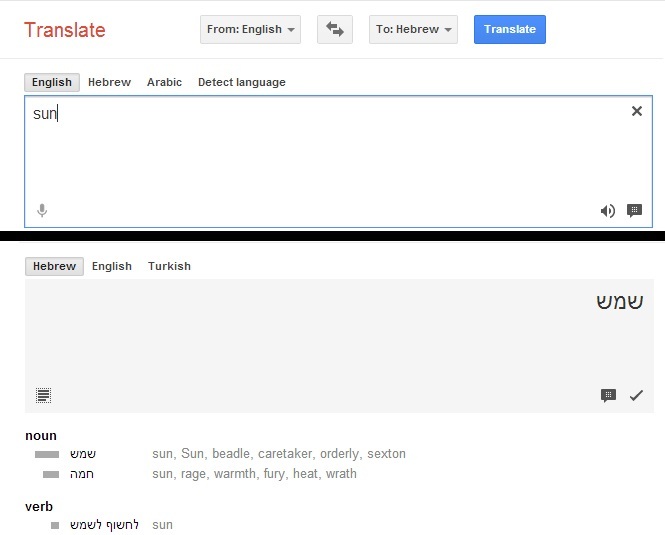 My primitive knowledge of Hebrew tells me that שמש – Shemesh is sun. There is a city outside of Jerusalem called Beit Shemesh. Just out of curiousity, in case there was another definition, I did some translating. This other word “Chamah” which I don’t recognise, could be sun, or heat, rage, fury or wrath. Now I think I know there is two different English biblical interpretations of this. Funny, I only went out to get something to spread on some pita bread, interesting what inspires me to see what Isaiah is talking about regarding what will prophetically happen to Egypt one day…. Is revival heading toward Egypt one day, yes, check out this link for 70,000 Egyptian believers in Jesus got together at the end of 2011.